BARANGAY Ginebra has added firepower to its lineup by acquiring sharp-shooter Jeff Chan from Phoenix. The PBA Commissioner’s Office on Monday approved the deal that sent Chan to the Gin Kings in exchange for their first-round pick in the coming PBA Rookie Draft. Chan has been averaging 11.56 points on 35-percent shooting from threes, 4.4 rebounds and 4.1 assists this conference prior to the trade that saw him leaving Phoenix barely a year after being acquired in a trade with Rain or Shine. At 34, the former Gilas Pilipinas mainstay is no spring chicken but should be a welcome addition to a Ginebra side that needs an army of shooters to declog the middle for giants Greg Slaughter and Japeth Aguilar. Over the past two years, the Kings' premier gunner, Mark Caguioa, has seen his playing time gradually decrease at age 38, leaving the role of perimeter scorers to youngsters Kevin Ferrer and Scottie Thompson and veteran guards LA Tenorio and Sol Mercado. The Bacolod-born Chan, a 17th pick overall out of Far Eastern University in the 2008 draft by Barako Bull, flourished under the tutelage of Yeng Guiao at Rain or Shine. 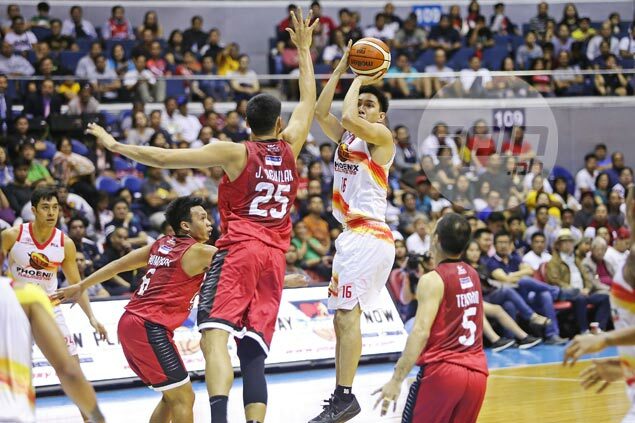 His nine-year stint at Rain or Shine ended in August last year when he was traded to Phoenix for Mark Borboran and the Fuel Masters' second-round draft pick in 2020. Chan actually still attended practice with Phoenix on Monday before joining Ginebra later upon being informed about the trade. He comes in with Ginebra at 3-5 and fighting for a playoff berth in the Commissioner's Cup. On the other hand, Ginebra's first-round pick is expected to land in the middle order.